Moscow, December 24, Interfax – Patriarch Kirill of Moscow and All Russia expressed his support to Polish believers as the main Poland’s shrine – the Icon of Our Lady of Czestochowa has been recently attacked. “We consider it not only an act of vandalism against the shrine, but an insult of the Christian tradition, history and culture of our two nations,” the Patriarch said in his letter to the Chairman of the Polish Bishops’ conference Metropolitan Jozef Michalik,” the Moscow Patriarchate reports at its official website. The Primate reminded that he accepted the copy of the Czestochowa Icon of the Mother of God during his recent visit to Poland as a precious gift of the Roman Catholic Church in Poland that witnesses to aspiration for peace and good neighboring between Russian and Polish peoples, as they always been united by faith in the Lord and special veneration of the Mother of God. “Unfortunately, we often have to deal with such manifestations of blasphemy. It happens in Russia, in Poland and in other European countries which is certainly a sign of the deep spiritual crisis of the modern society. In this situation our Churches can and should carry out mutual witness to Christian values in the world around,” the letter further reads. 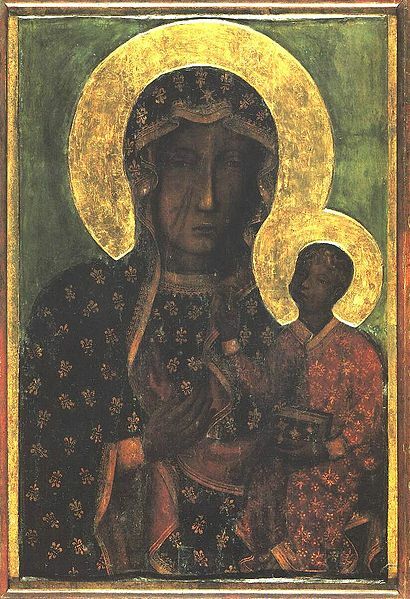 According to the tradition, the Icon of the Mother of God of Czestochowa was painted by St. Luke. It is also called “Black Madonna” because of its dark face. Large-scale pilgrimages to the icon venerated both by Catholic and Orthodox believers are traditional for Poland. The shrine is kept in the Catholic monastery at Jasna Gora in the Polish town of Czestochowa.